At Inspirer, we love getting to know new designers and it is our pleasure to help you discover them! Anna, designer of bags and shoes from Greece is one of them. 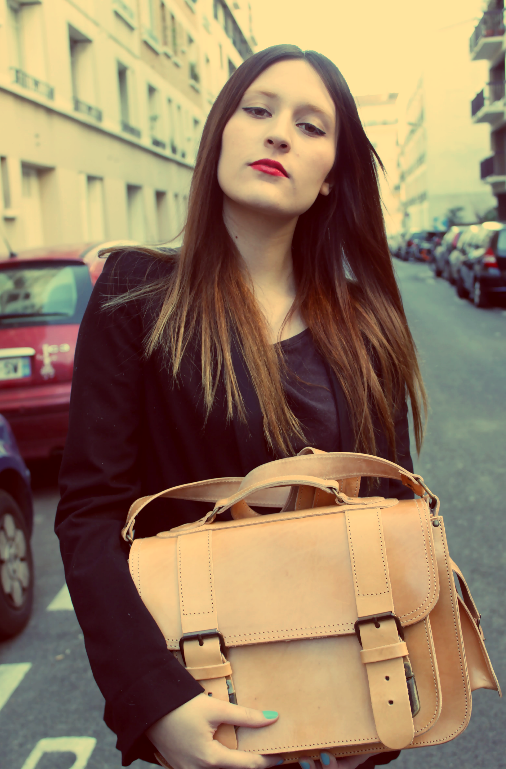 Anna, creator of leather bags, loves to work with beautiful materials such as leather and suede. She plays with shapes and colors to give us a big range of choices and diversity. This Designer shows us a collection of some of her very trendy bags with very good quality and affordable prices. What about the shoes? They are made up of bright colors, suede and undeniable comfort. We chose these shoes recalling the famous CLARK'S still with a choice of colors and sizes. I can say I am a little bit of all: artist, designer, creator, maker and a sales manager of the small workshop. I don't think there are any special designers that I prefer. I like classic things with modern touch. Most of all I like quality materials. Your favorite pieces in your collection? Leather bags, especially the ones made from undyed natural leather. Although this leather needs special care, you can feel it's "alive", you can see all the imperfections of it. And it is it's smell. I get my inspirations in everything around me as well as inside myself. Greece is a country with rich cultural traditions and amazing nature. How to define your universe? My universe is my family, my friends and my work. I like natural materials - wool, cotton, semiprecious stones and of course leather.